Browze our 5 year olds. Well, we do have another 4 year old unsold. Elizabeth AA was the star of the NI Stallion Parade 2 years ago when she was shown as an example of what her sire, All NZ Caballo, can produce. She was injured but has been nursed back to full health and is now over her injury and back on the market. Both are quarter Holsteiners – bred for eventing but showy and are great jumpers. 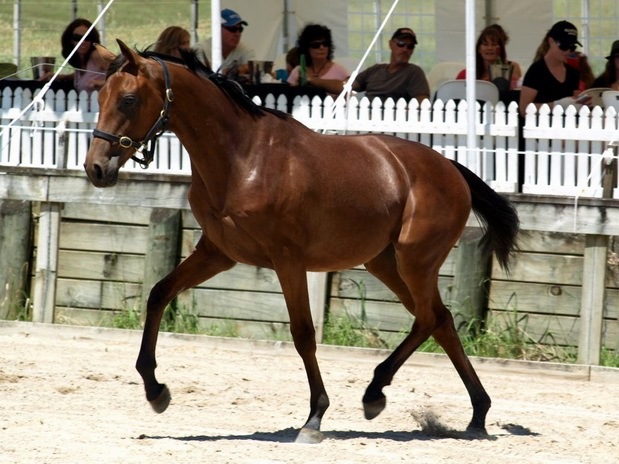 Hover over “horses for sale”, “2008-09” and either Elizabeth or Fletcher.